According to a senior BSP leader stationed in Delhi, party workers and leaders from Chandigarh, Punjab and Haryana will be attending the rally. Bahujan Samaj Party (BSP) supremo Mayawati on Thursday evening will address a rally at Chandigarh with the slogan ‘Sanvidhaan Bachaao, Aarakshan Bachaao’. The rally is being organised to pay homage to BSP founder, late Kanshi Ram, on his birth anniversary. The rally has become a matter of discussion in political arena as major announcements for a ‘grand coalition’ can be called by the BSP supremo. 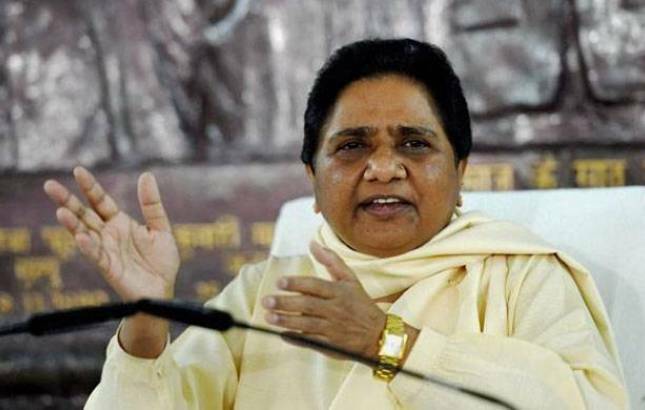 The BSP rally has gained importance as Samajwadi Party (SP) with help of Mayawati’s support bagged the two high-profile Lok Sabha seats in Uttar Pradesh on Wednesday which had been won by a margin over 3 lakhs in 2014 by Adityanath and his deputy, Keshav Prasad Maurya. Nagendra Singh Patel of SP emerged victorious in Phulpur with a margin of 59,613 votes. While, Pravin Nishad won Gorakhpur, a seat held by the saffron party since 1989, by 21,881 votes. In the rally, it is believed BSP will raise pro-Dalit issues like reservation, abolished government jobs meant for Dalits and atrocities against the marginalised.